Whenever someone asks me to recommend a book about writing, I always offer AA Patawaran’s Write Here Write Now. It’s a stylishly-written book about writing that is more inspiring than technical, and I always reread chapters whenever I am filled with my doubts. I even consider it as my writing bible. I’ve never met Patawaran, but he has always been responsive on Instagram, so imagine my joy when he invited me to a tea party. 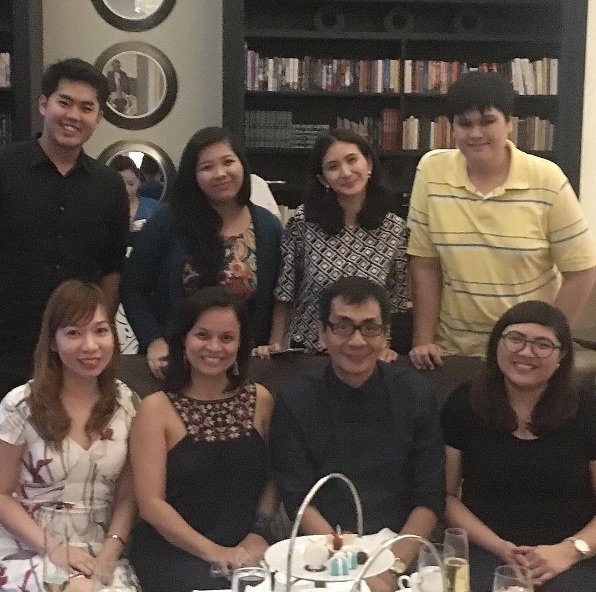 He invited me, along with some readers and writers, for an afternoon of tea and deep conversations on the reading and writing life at the Writers Bar of Raffles Makati. We were joined by blogger, mom, and down-to-earth celebrity Rica Peralejo-Bonifacio, bookstagrammers Eunice Moral and Kevin, book blogger Hazel Ureta, Palanca Award-winning playwright Mae Young, and National Book Store buyer Lola Tumaneng. Of course, leading the tea party is Patawaran, author and lifestyle editor of the Manila Bulletin. The setting couldn’t be more appropriate: the Writers Bar is designed as an intimate library with books surrounding cozy tables for snacks and tea. The Writers Bar in Raffles Makati is inspired by the original Writers Bar in Raffles Singapore, which has hosted literary luminaries such as Somerset Maugham, Rudyard Kipling, Noel Coward, and Ernest Hemingway. 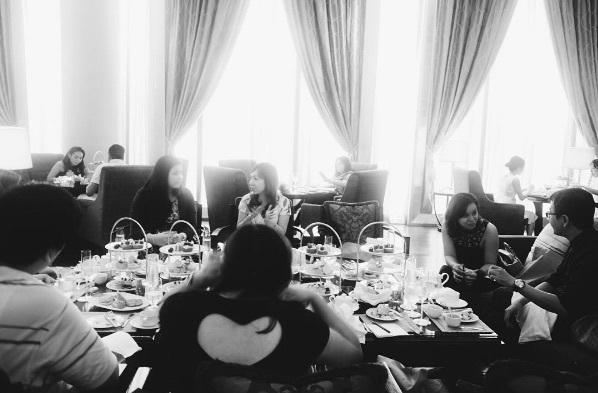 Raffles Makati takes its history seriously as it continues to host the annual Philippine Readers and Writers Festival. 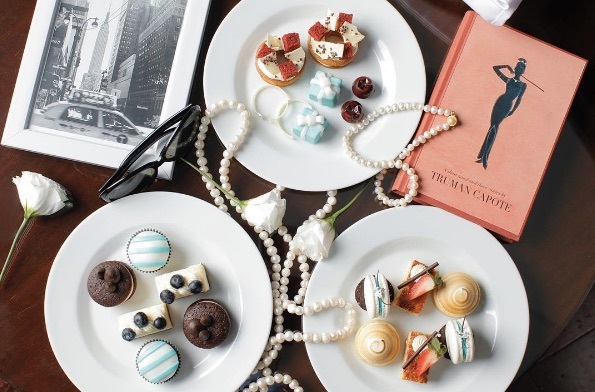 The mad hatters party coincided with the bar’s Prêt-a-PorTea series, a revolving partnership with Kate Spade, Charriol, and Tiffany & Co., which explains the themed pastries, including the Tiffany Blue Box. I helped myself to the pastries, their signature tea, and later on, some Champagne. Oh, there were no pictures of the pastries because I was so engrossed in the conversation. Our conversation swirled around our favorite books, Philippine literature, and the current state of reading in the country. The diverse lineup of participants made for a meaningful conversation, and it awakened my desire to devour as many books as possible. 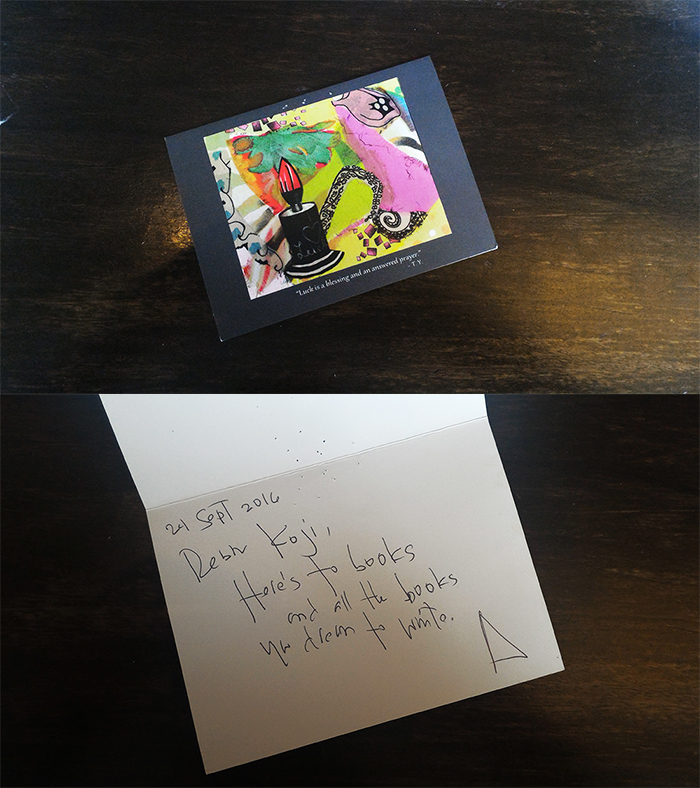 The spark ties with this blog’s mission, which is to promote local works. I’ve been bitten by the comic bug and I’m looking forward to exploring the local comic community, which you’ll see more of here.